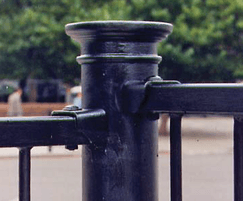 Linx200 is a round post and rectangular rail system available as a full, ¾ and knee rail system, all with a choice of decorative caps and base collars. 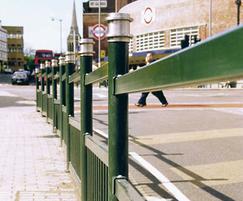 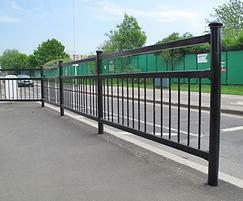 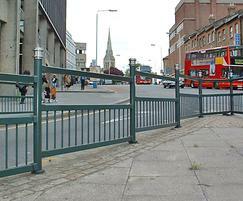 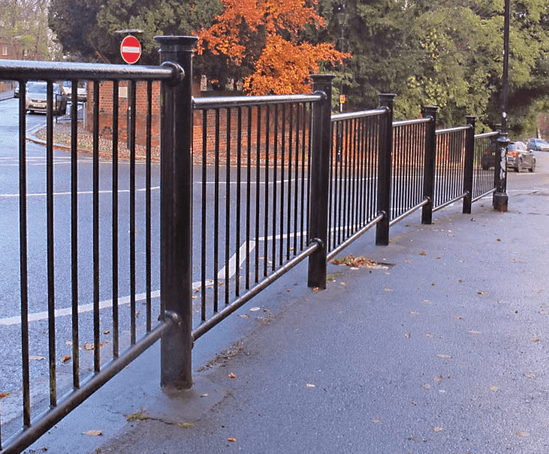 The Linx™ railing system is unique to Furnitubes and is a revolution in guardrail design. 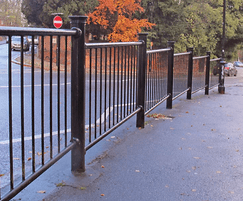 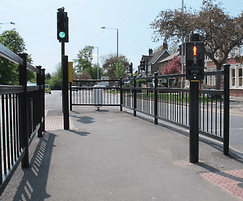 The patented bolt-on connection between the posts and rail can be rotated and positoned at a height to suit the alignment and levels of the site, enabling standard posts and panels to be used on almost any site, without the need to undertake a detailed topographical survey. 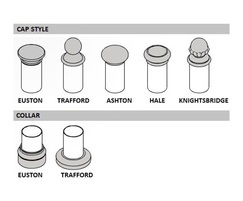 By using all standard components, spares can be held in stock and repairs undertaken immediately.